homeLatest NewsCan you use water from air conditioner to water plants? During these months and these upcoming months, high water rates and water conservation restrictions per household may be imposed. To conserve the water we have, we need to come up with innovative ways to reuse water, in a safe and hygienic way. We decided to look at the air conditioner since during these hot months we will be using it every day. What do you do with the water from your air conditioner? Do you simply toss it out or have you ever thought that perhaps you could use it to water your plants. 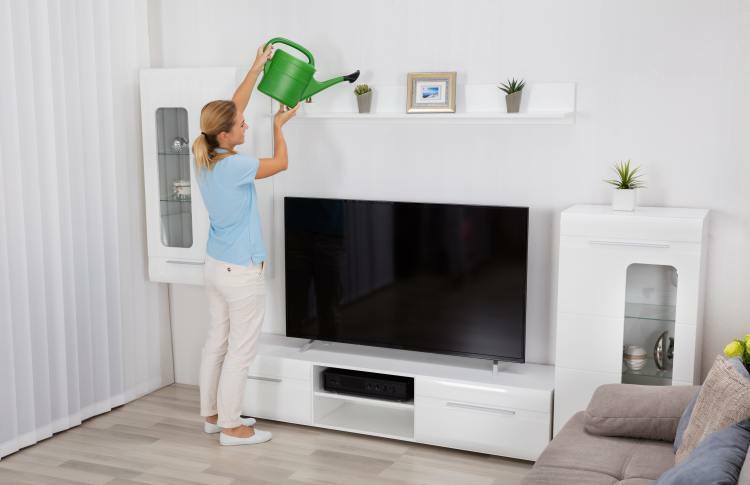 You can use the water from your air conditioner to water your plants, however, this discharged water from evaporative air conditioners contains concentrated levels of mineral salts. Usually it isn’t enough to harm your plants, but if there are unusually high levels of mineral salt then you shouldn’t use it to water your plants. What other things can we do with our air conditioner to conserve water? Water from your air conditioner condensation can be used to water your plants, both indoor as well as outdoor. The condensate is pulled out from the air outside, and therefore does not contain chlorine or any other minerals that may be found in drinking water. You can fill a watering-can and connect it to a rainwater colleting system through which you can have it drained directly to your garden. Or you can just keep it and then water the garden yourself. Air conditioner condensate can be used for decorative water features such as with fountains. If you want to build a backyard waterland, it might be a great project you can undertake to do. With the water from your air conditioner, you can fill up a water fountain as well as a fish pond. You could also use this water as part of your irrigation system for your pond or other water features. There is nothing wrong with using the water from your air conditioner to clean your verandah or even the inside of your home. In a bucket you can add bleach or soap and with a mop you can go off and start cleaning your home, knowing that the water you’re using is ‘recycled’. You can even use it to clean your cars. Now, during these months and the months coming, are the hottest and the time when we use the air conditioner the most. This is when the air conditioner is generating the most condensate. During this period we will have our water rates rise along with water restrictions. Now, using our air conditioner condensate can provide all the water you need to water your gardens on “no watering days”. This way of using and reusing what you have is not just a responsible thing to do, but it is also a way to save money. You’ll soon see your water bills drop. For more information contact an air conditioner supplier in Perth who may be able to explain more to you as well provide you with better suggestions to save water with an air conditioner – or you may just want to buy an air conditioner now. Visit your nearest Perth air conditioner supplier and start saving.